CIDT is running a six month project called ‘Supporting the operations of the FONERWA Fund Management Team’ and through this is assisting the Government of Rwanda delegation and the country’s Green Fund (FONERWA) management team attending the Paris COP21 climate negotiations. The team is providing daily updates which you can find below. You can also follow @RwandaResources and @GreenFundRw on Twitter for live updates from the Rwanda delegation. 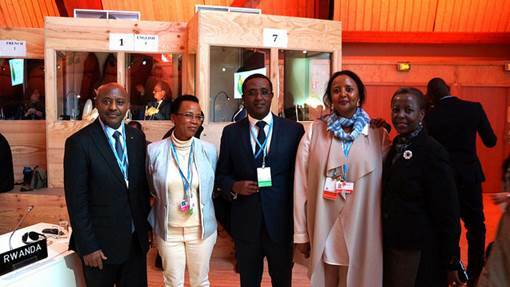 For the latest photos from Rwanda’s delegation to COP21, visit the Rwanda Resources Flickr. 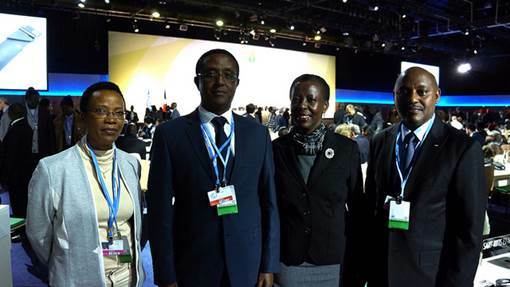 The delegation to COP21 was led by Minister Mushikiwabo, Minister Biruta, Ambassador Kabale and DG Mukankomeje. The main activity during the day was hearing world leaders give their official statements to mark the beginning of the climate summit. Throughout the day, the delegation met with a number of other countries as they moved around the venue. You can view updates from throughout the day on the @RwandaResources Twitter and photos from the delegation below and here. 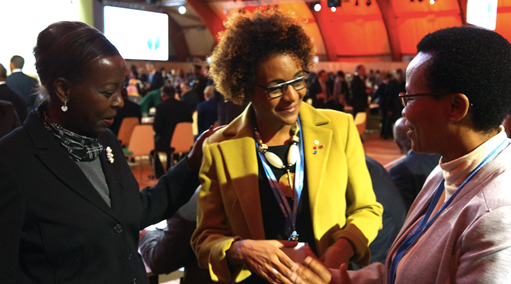 The New Times reports that COP21 Climate change conference has opened with a call to support developing nations. Igihe shares Rwanda’s climate success stories that will be presented in Paris. 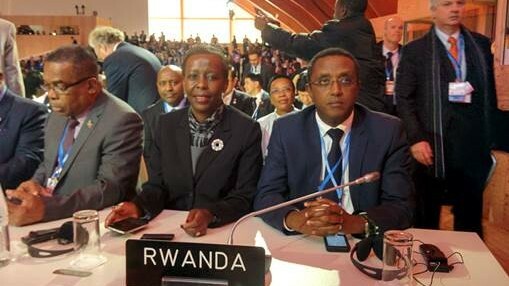 Rwanda Express quotes Minister Biruta saying that the world needs to reach a meaningful agreement. The New York Times publishes quotes from speakers at Day 1 of COP21. BBC News reports that Obama is convinced that Paris conference could be a turning point. Watch the speeches of President Obama, Prime Minister Cameron, President Putin and Prime Minister Modi and read the speeches of other leaders. RTV Evening News (RBA – 30 November 2015) — Coordinator of the Fund for the Environment & Climate Change, Alex Mulisa, was interview for the evening news on RTV about the fund and COP21.